Enema Bag Kit with Slide Clamp includes a 1500 cc disposable enema bag with 54″ of vinyl tubing, soap packet, and an underpad. The vinyl tube has a pre-lubricated, non-traumatic tip with rounded eyes for safety and easy insertion. latex-free. 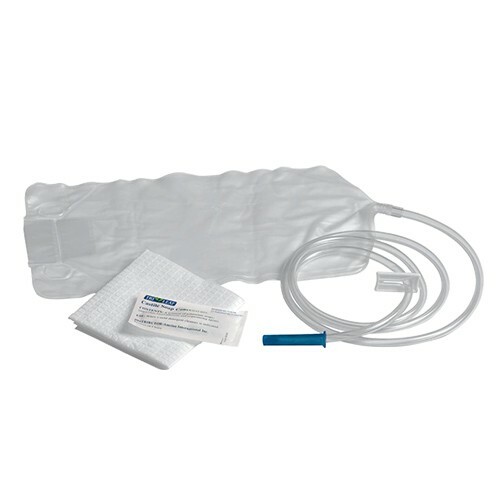 Includes: 1500ml Enema bag, with preattached tube, lubricated tip, tip protector, tubing clamp, underpad and soap packet. NOTE: This kit is used as an optional offering in Lalita’s Seasonal Cleanses. Included in your kit will also be special herbs as described in the Seasonal Cleanse E-book.